Wendy Darling is a speaker, author and recognized transformational results expert on navigating change and achieving your desired results. She is the founder of the Miraculous Living Institute and Method, a personal and professional growth organization providing a systems to achieve results with greater ease and speed. Wendy has over 35 years of experience in business and life transformation. In this episode, Wendy shares the two specific avenues she’s working on now – training and certifying coaches and practitioners in her methodology and her consulting work. She’s excited to see what else unfolds as the year progresses. I am feeling very shiny because I get to have a talk with a dear friend. Somebody that I absolutely adore, a new friend, somebody I haven’t known for many years, but I really appreciate this woman. I’ll share a little bit about her. Her name is Wendy Darling and she is a transformational results expert, a speaker and an author. Before we go there, I want to ground us, ground myself, and ground all of us with the breath of gratitude, because how lucky are we that we get to be here in this moment? Wherever you are in this moment, what a great fortune that is for you and for us. It’s a fact that as we continue to breathe more consciously in this moment, we can also recognize and be in recognition of the fact that there are people taking their very last breath right this moment. How blessed are we to be here and to be doing what we’re doing, whatever it is. Maybe you’re walking in the gym, on the treadmill or outside, or you’re in front of your computer or driving in the car or something. We’re all in different places, but we’re connected. That I think is the most important thing that we can recognize through our breath is that we are in fact connected to one something, whatever you want to call that something, but we are connected and that is divine and perfect and beautiful. Without further ado, I want to introduce our guest, say a little bit about her, and then we’re going to get right into her pivot story. 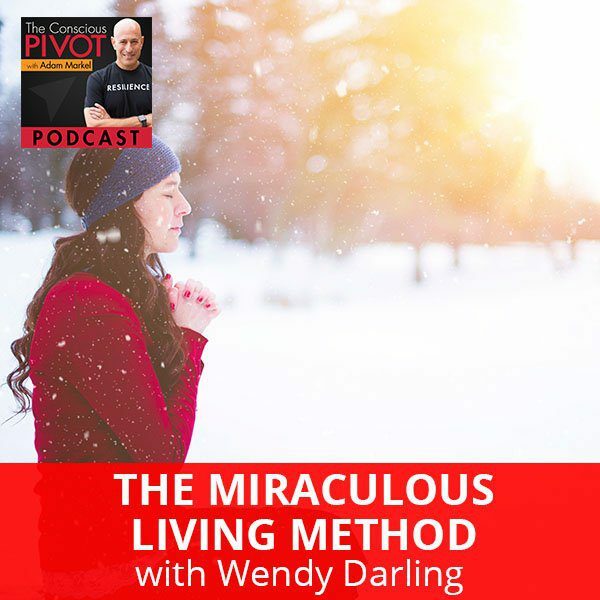 Wendy Darling is the founder of the Miraculous Living Institute, a personal and professional growth organization offering presentations, seminars, retreats and private coaching. Wendy is a recognized expert on navigating change and achieving your desired results. Her transformational system, The Miraculous Living Method, provides the vehicle for achieving those results with greater ease and speed. Wendy has over 35 years of experience as a business and life transformation expert, master healing practitioner, management and organizational development consultant, manager and executive, entrepreneur, radio show personality, and keynote speaker. Wendy has done this work for quite a bit of time. Her seminars and presentation topics have touched the lives of more than 200,000 people across the United States and throughout the world. Wendy, I will stop right there. Your bio and your CV is quite long and extensive. I know that our community is familiar with me not doing long, elaborate introductions. They’ll learn so much from listening to you and learning from your experience, but fill in any gaps. Is there any place where you’d like to fill in the intro a little bit and also share with us what you’re currently doing and what you’re passionate about right now. The only thing I’ll add to what you were saying, and it’s great being here is, I’m starting to feel older listening to all of that, even a little tired, but it’s been a wonderful journey. It’s interesting that even though this is actually the beginning of my 37th year of having my own business, which is amazing to me, I feel like I’m getting started in a lot of ways. That’s exciting too that it still feels fresh and exciting and to be continued. Then the second part, what I’m focused on right now are two specific avenues primarily. There’s always more than that. First of all, I started training and certifying coaches and practitioners last year in my methodology, and I’m excited about that and that’s going to be a primary focus. The other is my consulting work. I have an arm of my business called RQ Consultants. RQ stands for your Relationship Quotient. I work with organizations to help empower the team to be more productive and profitable. I’m choosing to focus in the healthcare industry this year. Those are two of the major things, then we’ll see what else unfolds as the year progresses, which is the fun part. What’s the transition into the healthcare focus? First, it’s a natural alignment for me. 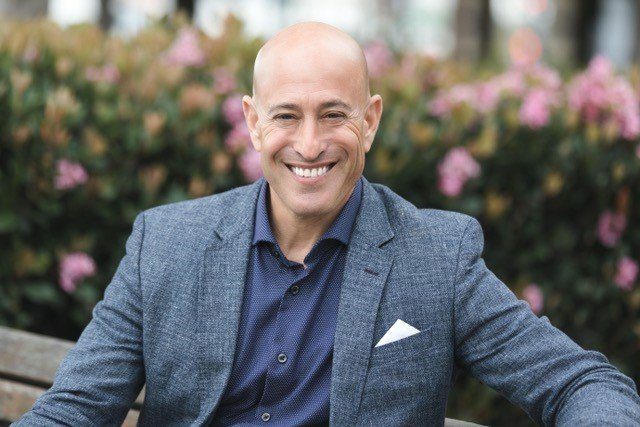 Based on my past and having to be involved in hospitals and all of that, I have a real soft spot in my heart for people that work with people with health issues, and wellness has always been something of great importance. Then quite honestly, it’s a thriving business industry that has a lot of need. As you know, as things grow and change, that what I call the Rubik’s cube of the organization can sometimes get out of alignment. Working to massage that to be able to go easier with what needs to happen in the effort to get maybe different results is so important. Miraculous Living Method: If life takes you to your knees, start praying. Let’s back up the clock a little bit to a different time in your life when you’d experienced some challenges. One thing that’s constant is the fact that things change. One of those beautiful paradoxes of life, that the constant is change. People meet change differently, and more often than not they meet it with fear or trepidation and all that white-knuckling, the experience of change. What was it like for you a time ago when you were white-knuckling change and the pivot that was upon you and how you showed up in that time? What did you learn? Just to preface that a tiny bit, I was a pretty fearless person. I thought if I wanted a job, I got it. I was Dean of Students for a semester at age 28 and as we’re pulling out from San Francisco Bay, I’m going, “What have I done?” I was a fearless person, and I got involved in training and development and consulting when it was really in infancy many years ago. I started my own business in 1981 and this was now 1990, I believe. I was working with a Fortune 100 company. I was flying all over the United States providing training for them. I was now flying from Texas where I was living at that time to Los Angeles, and I was a Type A girl. It was like, “The show must go on,” but I was sick as a dog. I went outside the Dallas airport just to get some fresh air and I passed out and I fell over a ledge and I fell over 25 feet. Just that alone was extremely traumatic. Not to give tons of detail, but the good news I guess is I landed on my right leg and it was shattered and my back was broken. I was later diagnosed with a traumatic brain injury and as I was coming out of my first surgery, I had multiple surgeries and I didn’t know if I would walk again for about eleven months and I do. All of this has a happy ending, but this was a white-knuckle moment because I had never physically been challenged before. Then around the fourth week I was in the hospital, my former husband came with suitcases packed stating he didn’t want to be married any longer. In all fairness, we had issues and I take responsibility. The timing wasn’t great. Then the real blow came when we went to court and unfortunately, he’s an attorney, no offense at him; I still like attorneys, but he was awarded full custody of our son who was only four and a half. That’s when I broke into a lot of pieces. Even at the time of my accident, I was starting to wake up more to who am I, and there was more of this sense of a spiritual awakening. This was my big wake-up call. When I was sick lying in the hospital, all those years ago, first of all, I didn’t believe in accidents and I had a doozy of one. I was asking the question, “What choices and decisions have I been making that got me to where I was in that moment and what choices and decisions was I now going to have to make to dig myself out of this hole?” because it was a big one. I happen to say sometimes, “If life takes you to your knees, start praying.” I was so out of anything that I had experienced before. I was living in whiteboard territory. There was nothing to hook my identity on. Now, I consider it one of my greatest gifts because I had to look at, “Who am I? What am I here for? How can I best serve and how am I going to dig myself out of this hole?” My prayer to God at that time was, “If you help me dig out of this whole, I promise I will pay it forward.” I remember saying, “By the way, if you could make it a little bit easier and faster, it would be nice because nobody should have to suffer like this.” I have to say it took awhile, but I got my wish granted. When you say you got your wish granted, do you mean that the suffering ended? What was it that accounted for the wish being granted? Am I correct in saying that you would not be asked by people to sing as part of a stress management program? They would not ask you to sing? That would be correct. I love to sing. My son’s more diplomatic today, but there was a time where I’d be singing in the car or something and he’d be like, “Mom, do you have to do that?” I look at him and go, “Yeah. I do so adjust.” My instructor said, “Sing.” Desperate times. I got into that space and something started to come through me and I started to sing. For the first time in such a long time, my mind started to calm, and my body started to calm. It was such a relief. I was living in Dallas, Texas at that time. As some of you may know, Texas has a reputation of having big things. I had this ginormous walk-in closet. I would go into my closet and do my meditation and singing because the acoustics in the closet were so delicious. Little by little, I started realizing that there was maybe a little bit more to this than I realized. To fast forward it, I started to receive my transformational gifts, my healing gifts, and the processes that I use today. The reason I said my wish was granted is my suffering did end, but what’s so great is the people that I get to serve can get their results easier and faster. I married my world, a very traditional consulting and facilitating and all of that, with these wonderful gifts. I’m able to see energy. I’m able to move it. I can see where things are stuck and my system itself can find the root cause immediately of anything that’s holding you back, interfering, and creating a misalignment. We get you in a place where you get to be you and live the life of your dreams. Behind that for me personally, I feel my purpose is helping others fulfill theirs. Whatever that what I call your divine destiny is, that’s what I want to support. It’s interesting when you were speaking about your mind, the traumatic brain injury and how that might have been a blessing, I was thinking about that book by Jill Bolte Taylor called My Stroke of Insight. For those of you who’ve never read that, that book’s way beautiful, cool, and amazing book about her experiences. I think she’s Harvard researcher and she’s a brain researcher. Talk about the irony on some level or how things are so divine as we’re appreciating at the moment, this brain researcher was having a stroke and was conscious of the fact that she was having an event. At a certain point, she became unconscious of that because the stroke took over and she was no longer herself. That’s what the book is about. Her journey in and out of that stroke. Give ourselves time-outs to explore, to take a step back and evaluate. It’s a wonderful book, and that was a blessing. I remember her not only a blessing in a bunch of ways, including the fact that her book and her work is now transformed and assist the people to help them to transform their own lives, many people, must be millions at this point, so that’s a blessing. The other blessing as she described in the book was the fact that when the center of her brain that was no longer active or at least she didn’t have access to, it was her left brain. She was living in her right brain, living in the child’s mind and that creative side and that side that’s not judging things and that side that’s not so critical. It’s not the side that’s often giving us a hard time. While she didn’t have full function in a lot of areas and that was debilitating, she also had access to this side of herself where she was nothing but present. That was part of what she was describing. It sounds very familiar to how you were describing what you were gaining out of that traumatic brain event. I tease every now and then, it sure would’ve been nice to have had it just a little bit smoother, but it was my journey and I am so grateful now. Even when I was going through the trying times, because it was not just, “Let’s get better and get on with life.” There were a lot of challenges along the way. I’m blessed. I’m relatively normal now. I laugh because who knows what normal is? I’m so grateful because my sensitivity, I’ve always been a sensitive person, but it’s dialed up now. I think my heart is so wonderful. Earlier last year, I decided to have some tests done and I literally got to see my heart in action and I had never seen that before. It was like, “Look at you, you’re doing so great.” It is a blessing. Certain things have dialed up, certain things have dialed down, in the sense that I’m not that workaholic little girl any longer. I still work, I still love what I do, but you talked about self-care and making sure that I take care of myself is at the top of my list. The way I approach things, I have such trust in faith in life now. Even the times that it doesn’t quite look like I thought it was going to look, I’ve learned to ride the waves a lot easier than before. Isn’t that a skill that we ought to be taught when we were in kindergarten or earlier? The skill of riding the waves of life? The process of experiencing unconditional love may not look the way we think it’s supposed to look. It may not come to us from the most obvious place. Out of great adversity and getting knocked to your knees and those white-knuckle moments and any number of other ways to describe the challenges we faced in our lives, we gain understanding of things that we would never have otherwise had. I got to see contrast. As a young child, my mom was the type of person who was overwhelmed, was highly critical, and quite honestly abusive. I had such a poor sense of who I was for many years. I didn’t know who I was. That was a pivotal moment of my accident, because I recognized I was living more the life that I thought she and even my dad wanted me to live. On the outside, it looked like I was doing that, a great job of life. It took this experience to explore who am I really? What matters to me? For myself, I’m my first laboratory and then I work on other people that allow me to. You are the self-improvement lab for how to change your life. That’s the way it is for all of us. We’re in the laboratory of making changes, and change for life is not something where we’re necessarily born knowing or learning from the models of experiences of people that are around us. More often than not, what they model is the white knuckling. They model the resistance and a lot of regret and anger as well along the way. It is in so many ways finely-tuning the way when we were younger. Even younger, the radio was a dial, and you had to tune in, you had to calibrate and re-calibrate to the station to get a clear signal and a clear channel. Why should it be any different in our own lives, whether we’re making a career change or considering a career change or any of the things that are going on? My story is one of misery in the work I was doing, feeling unfulfilled by the work I was doing. That process of exploring, of getting present and quiet inside to be able to then make those re-calibrations or consider what those things would be like is so important as a process. It sounds to me like your methodology is very process-driven as well. You said something about growing up with contrast, and that made me think too about where I first heard that word in a way that stuck with me was with Abraham Hicks, the Esther and Jerry Hicks work, where she talked about contrast and how contrast is a catalyst for us knowing what we want. On the right-hand side, it’s all the things that you’re clear, that you have complete, crystal clarity about that do work when you know first what doesn’t work. It’s that contrast between the experience of what does it work and what you don’t want and getting clear on what you do want. That is so wonderful, Wendy, and the work that you’re doing is magnificent. I am a student of yours. That’s what I’m going to say out loud. I feel like the process that you shared with me is beautiful. I’ve been using it. Miraculous Living Method: It’s time for us to celebrate that uniqueness that lives within all of us. It’s a bit of an irony that you were told not to sing and yet this beautiful song, and I don’t even know whether you’d call it a song, but the sounds that came from you that you recorded that were called forth are a part of the process that you use. You shared that with me this digital audio recording of it and I listened to it. I think it’s about twenty minutes long and then I also do some quiet reflection on some thoughts and things and guidance that you and I have discussed. I do that as I listen, and it’s magnificent. It has an incredible impact on me. I want to say thank you for that. There’s nothing more that warms my heart to be able to share this with people now. Remember how I said I meditated in the closet, I was in the closet with this because it was so different than who I was prior to my accident. I’m still sometimes a little self-conscious or a little shy about it, but that’s my journey to get over it, but I feel a responsibility to share it. First of all, who doesn’t maybe have a gift that they don’t even realize is a gift? Secondly, there are so many of us that are shy about saying, “I love doing this,” or, “I’m good at that.” Even though my story’s a little extreme and even what I do is a little different, who doesn’t feel different? It’s time for us to celebrate that uniqueness that lives within all of us. We rarely see ourselves as accurately as the world sees us. It’s interesting too that way. There are people that will see us and they project their selves unto us. There’s all this stuff that’s always out there, but when we were able to get quiet and still and check in, we can learn the truth about ourselves, the real truth. How truly divine we are and how deserving of unconditional love we are, regardless of our mistakes or the journey of the past or any of those things. Wendy, what’s one thing that you do as a ritual or a conscious habit that helps you to stay in the right mindset? It’s my number one priority. Almost every morning first and foremost, other than making tea or coffee, I get quiet. I have a practice where I do my methodology. I turn on my audio. Part of my methodology helps to train the mind which I think is a very important and many times a missing piece in some practices, so I spend time in quiet. I listen to one of my recordings and then I typically sing and do some healing work on me. Then, I write what I’m grateful for every morning. I usually do it in the evening as well before I go to bed, but every morning I write what I’m grateful for. I write out my intentions for the day and then I listen to my guidance. I used to get paid a nice little sum of money to create strategic plans for companies. I am so not that person anymore. I listen for my marching orders now and I take that step. I was told to make a call to a specific person, so I wait. I feel when we live from that place, trusting God, the universe whatever you personally might call this, I call it the greatest thing on Earth that we get to experience. We’ve got everything. I’m at the tail end of a cold and between the cold and I was eating a little differently. I couldn’t feel my guidance system as well and I missed it. That also becomes important to taking care of our bodies so that we can not only receive guidance but then be in good health to do what we’re being guided to do. I believe each and every person is here to thrive and prosper and to make a very unique and special contribution that will make this world a better place because you’re here. When you talk about a practice like that, it’s a mindfulness practice in a lot of ways. When people talk about meditating and they don’t meditate, they don’t like to meditate or they can’t meditate, that’s what I hear a lot of times. “I’ve tried meditating. It doesn’t work for me. My mind won’t quiet.” Stop calling it meditation for one thing and think a little differently and practice it differently because what you discussed is getting still, being in gratitude, and then in that stillness and that gratitude allow for guidance. I did a podcast with Reverend Michael Bernard Beckwith and he talked about assignment. Where you said guidance, he used the word assignment. You said marching orders. He asked, “What’s my assignment today?” It was a wonderful way to frame what we’re discussing, which is to ask and humility for what it is that you’d like to know. Just ask, regardless of whether you call it, a spirit or God or anything else. You getting quiet and asking for that guidance, for those marching orders, or that assignment is you asking you. The indwelling wisdom and genius and all of that that’s inside of you and being quiet enough for a moment or two to hear it. I remember in Pivot, I featured a number of people that had some practices, including Keith Leon, who’s a dear friend. Keith’s practice also has to do with being still an asking for which direction, which way next. Wendy, this has been a blast. I so adore you. I’m so happy we got to see each other. Her name suits her so well. Her last name is Darling, and you are very darling. Thanks, Adam. I love you too. I think we’ve been blessed that finally the universe conspired, that we got to be even almost neighbors. That part is lovely. Wendy, is there a website that people can go to, to find out more about you? There are so many amazing resources there and you can learn more about Wendy and how it is that her work might impact your life. We’re all in the process of changing our lives for the better and hopefully we’re doing it in an elegant, graceful way. Not having to white-knuckle it. For those of you who are enjoying this experience of watching and listening this podcast, please subscribe. Go on iTunes and leave a review. We would love that. You can get to the podcast through AdamMarkel.com. There are a few other resources that we have that are available that are at no cost and I would love for you to take advantage of those access. Whether you’re in a pivot, not in a pivot, curious, would like to answer some questions to figure it out, whether you are in or not yet in a period of change in your life, you can go to StartMyPivot.com and we’ve got a Kickstart Guide that you can access there. Then also we have a Start My PIVOT Community on Facebook, which we adore. Just amazing, insightful people, giving, loving, generous people on that site, being vulnerable and sharing things about their own journey. The community has one of those things that surprise us how important community is. We know that, but didn’t know we could see a community formed on Facebook could be that rich. You can get to that community directly on Facebook or you can go to PivotFB.com and access it directly there. Just like our thumbprint, each of us is born with unique talents, skills and opportunity. I will say before we depart, I want to remind us all how blessed again it is that we’re here together and tomorrow my magic wand is waving in the air and the magic wand is that we all get to wake up tomorrow. There’s a ritual, we talk about rituals and practices, I always start my day with the same practice I have for about eight years and it’s three parts. The first part is that I wake up and that is no simple feat. We don’t know what tomorrow is going to bring. Wake up spiritually, wake up in my consciousness, wake up in my awareness, wake up physically to a new day is a blessing. In that moment I’m awake, I realize I’m awake, the next thing I do is sit in gratitude for something, whether it’s that breath or it’s the family, it’s the health, the roof over my head. There are people that don’t have that, so I sit in gratitude for a moment. The third part is if you’re inclined to do this, you wake up, you’re in gratitude, put your feet on the floor and declare out loud, “I love my life. I love my life. I love my life.” That element of intention-setting for your day, that self-care, that self-love, is going to pay dividends big time. We love you. We’re so appreciative that you’re in this community and I’ll just say ciao for now. Thank you so much, Wendy.